Dimensional details elevate this black-and-blush tweed jacket. Dimensional details elevate this black-and-blush tweed jacket. 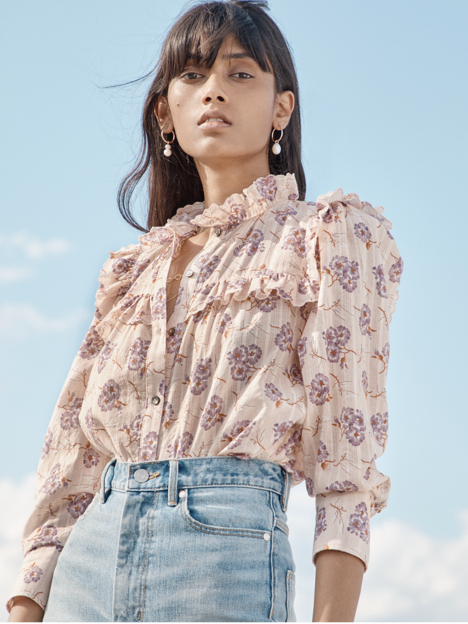 Its contrasting trim, frayed edges and a floral embellishment add instant polish to denim and skirts alike.